Unless you're lucky to have access to a superb resource such as the Computer History Museum in Mountain View, California, it's very hard to know much about the early history of the PC from a design perspective. Many of the early machines are lost to history or dusty attics. 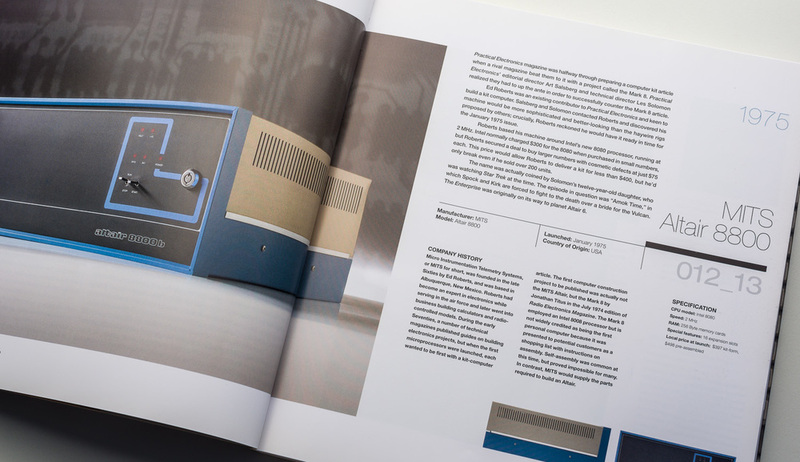 There's been relatively little attention paid to the formative years of the personal computer from a design perspective, and certainly then it wasn't taken for granted that design was key to a product's success. By the 90's this was starting to change, and at that time I was fortunate to be involved in organizing a show about contemporary computer design at the San Francisco Museum of Modern Art. But even if it's remembered nostalgically, PC design of late 70's and early 80's is poorly documented. That's a shame, as this was a fevered period of experimentation trying to figure out just what the heck a PC should be, who would use it, and what they would use it for. There's a raw-ness and naïveté to the designs that doesn't exist in today's mature market. They are like awkward teenagers reaching for life's elusive answers - often earnest, not always elegant (and sometimes downright goofy). There was a lot more diversity and fragmentation in the business, too. Much like the early days of the automobile where there were dozens and dozens of small manufacturers, the burgeoning PC market brought in many entrepreneurial companies that tried to make their mark. Today, as in automobiles, very few survive, and most early PC makers were swept away or consolidated, now forgotten. I had better confess right now: when I was a kid, my most prized possession was not a football, a knife or an action figure, but my Sinclair ZX Spectrum home computer. These were the golden years of computing: a time before Microsoft and Intel dictated every aspect of IT, when a bloke and his mates could cobble something together in a shed and actually compete with the big guys. By the early ‘90s, failure to comply with IBM’s PC standard would sadly render all but a handful extinct - however, for a brief and glorious decade, it felt like anything was possible. Speak to anyone who grew up in the ‘70s and ‘80s and you’ll often hear passionate recollections of their first computer. It seemed I wasn’t alone. But what happened to the guys who made these things? Come to think of it, just what inspires someone to pick up their soldering iron and take on established corporations in the first place? Digital Retro features forty-four machines listed in chronological order, mostly home PCs, but with a sprinkling of business-oriented ones (IBM, Osborne, etc.) and gaming consoles products (Atari, Mattel, Nintendo, Coleco, and others). After a capsule history of the personal computer, it begins in 1975 with the MITS Altair 8800, widely considered the first publicly available personal computer. The Altair helped launch the careers of a couple of gentlemen - Bill Gates and Paul Allen - whose fledgling company then known as Micro-soft, wrote a version of the BASIC language for it. The Altair was also a major source of inspiration for Steve Wozniak and then Steve Jobs, who realized that there was a market for an inexpensive personal computer with which one could do actual tasks and was easy (or easier, anyway) to use, neither of which could be said about the Altair. The book ends with a Jobs' creation, the Next Cube, in 1988. Each machine gets two full spreads, with high quality, documentary-style photography throughout. Across the spreads there are generous three quarter views and key detail shots, along with orthographic views (top/side/front/back). Brief histories of each company are given, along with details about development, functionality and specifications for each machine. Author Laing is a lifelong photographer, a former editor of the UK's PC World Magazine, and now runs the popular digital photography site Camera Labs. Laing spent considerable time sourcing machines to photograph, as well as doing research into their development, and conducting original interviews with some of the pioneering founders, engineers and designers. 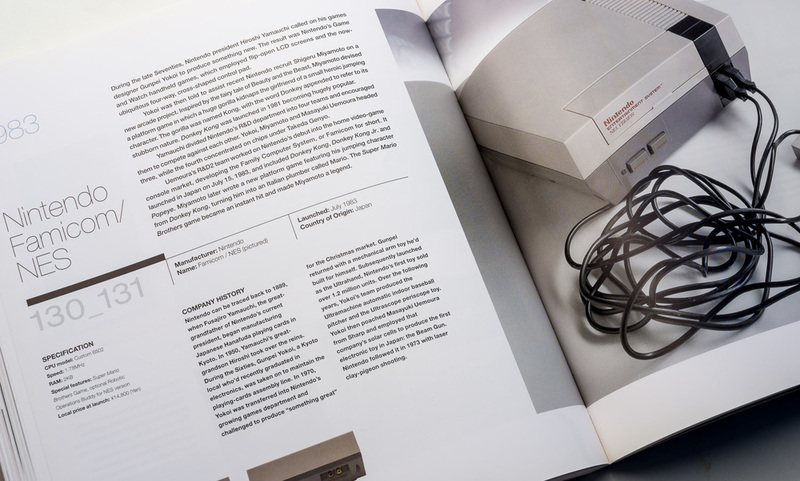 Digital Retro does have a British slant to it, and many of the models included were UK- or Europe-only, so may not be familiar to readers elsewhere. For example, Sinclair, BBC Micro, and Amstrad were dominant in the UK but are almost unknown in the US. Many were familiar to me since I grew up in England and cut my teeth programming on first a Sinclair ZX-81 followed by a Spectrum (with color and a whole 16k of memory! ), but still some machines were new to me. But there's enough variety that almost anyone interested in the topic will get something out of it. Something I love about these early home and personal computers was that the designers and engineers were trying to figure out basic stuff like - what shape is it? Today we take it for granted what a laptop, desktop tower and desktop all-in-one look like. Back in those days there was far more experimentation and form factor variation as the manufactured tried out different shapes, sizes and arrangements. You'll see all of these variations and more play out in the pages of Digital Retro. The turning point of homogenization came with the launch of the IBM PC, and the three-box approach became the standard. This accelerated even faster once Compaq figured out how to create the first IBM clone, and a new sub-industry was born with hundreds of manufacturers all producing virtually indistinguishable machines with a race-to-the-bottom on price mentality. Until laptops became truly feasible, PC design from that point on was mostly stuck in a rut as everyone rushed to the same form factor recipe. It's no accident then that Digital Retro focuses mostly on non-IBM clones as a way of highlighting the experimentation going on in what essentially became the fringes of the business. Many thanks to Gordon Laing for going to the lengths he did to gather, photograph and write about these quirky pioneering machines, and to scrape together stories and histories of their development and their often equally quirky and pioneering creators. For anyone interested in PC design, Digital Retro is a veritable gold mine of historical information and imagery. Digital Retro is available on Amazon but only used, you might also be able to find it at other used book sellers, such as Powell's Books.